This carabiner is 3 inches at the bottom. 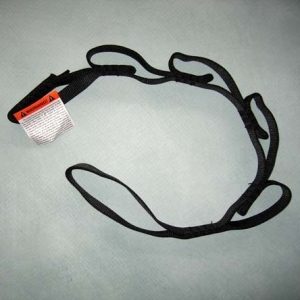 It can fit up to 4 individual bungee cords. The Screw Gate is steel and rated at 50kN. Working load 2 kN. 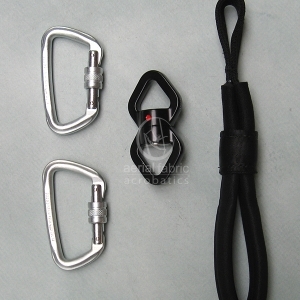 Black Steel Screw-gate Carabiner is recommended as the best size for Bungee Dance set-up. 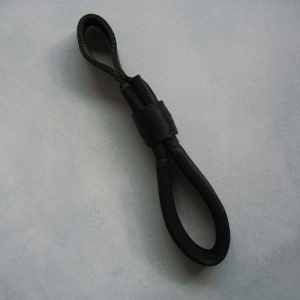 The base of the carabiner is 3 inches and can seat 4 of the 12 mm bungee cords. 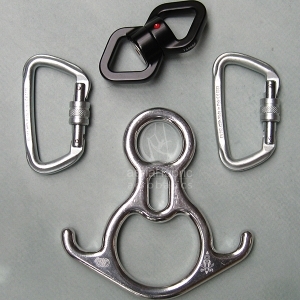 Other carabiners are not as wide on the bottom and the bungees bunch up on each other. It is best to have the bungee cords seat next to each other so the pull is even. 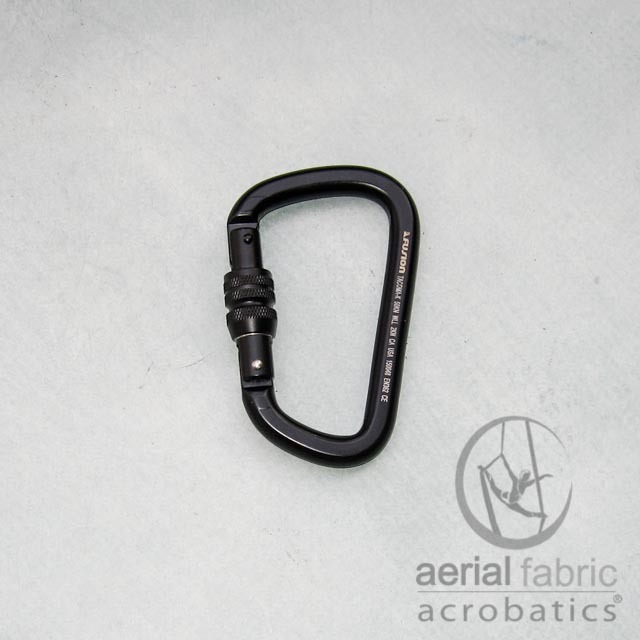 For those who appreciate an aerial hardware set-up for the theater setting, this black carabiner is perfect for use with Aerial Silks, or Aerial Hoop, or Aerial Hammock, Aerial Sling. Size: 3 inches at the bottom. Rated at 50kN. Working load 2 kN.